Thermal runaways in hydrocracking processes are a serious concern for refiners. Comprehensive, real-time temperature monitoring is critical to preventing runaways, which is why most hydrocrackers across the world are equipped with Gayesco Flex-R® multipoint thermocouple systems by WIKA. 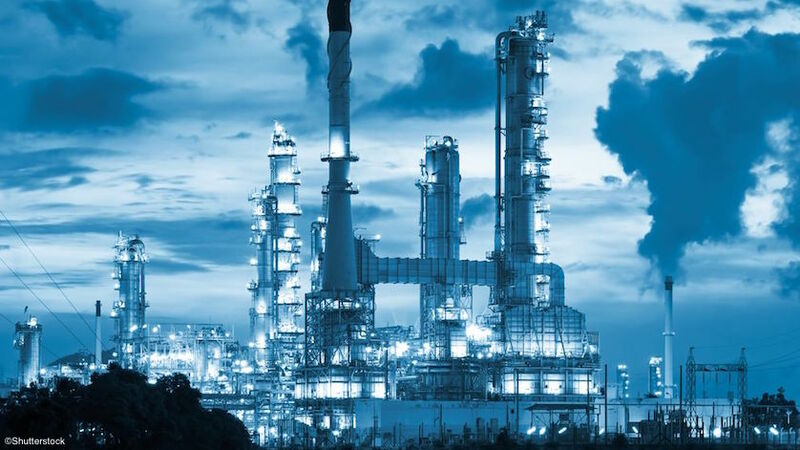 Temperature measurement is an increasingly important part of many industries today, and this is particularly true in the refining and petrochemical sectors. Many of these processes require close temperature monitoring to maintain optimal reaction conditions and to detect potential failures. Hydrocracking is one of the processes where real-time temperature monitoring is essential. In this two-stage chemical reaction, heavy gas oil is broken down (cracked) using a catalyst and high temperatures. The cracked hydrocarbons are then saturated or treated with hydrogen to produce useful products like diesel and jet fuel. Treating is a highly exothermic reaction. As more feed cracks, more material is available to treat, which generates the heat that allows more material to crack, and so on. This process normally occurs within a safe temperature range. Problems occur when this process is not controlled or happens too quickly within the catalyst bed – a situation that can lead to catastrophic vessel failure as the temperature exceeds the design limits of the steel. By monitoring the temperature in several zones within the reactor vessel, operators can see when conditions veer outside of the safe range and then adjust the inlet conditions as necessary. One solution is to quench with cold hydrogen in order to reduce the inlet temperature, which slows down the rate of cracking. Another solution is to reduce the feed rate, which slows down the rate of treating. The ideal way to guard against the potential for a thermal runaway is with accurate, near-real-time temperature monitoring in key areas of a reactor vessel. That’s where the Gayesco Flex-R® multipoint thermocouple comes in. Each system is designed with the optimal thermocouple distribution specified by each process licensor for a particular reactor vessel and application, and every installed thermocouple can be verified by a test heating to 700°F (371°C) – both at the factory and in the field. A high-temperature verification test allows for a diagnostic check of the thermocouple, wiring, and transmitters, as well as a confirmation of signal output. This is also required by the specified “proof test” for SIL capable thermcouple systems. With the fast reaction time of the Gayesco Flex-R® thermocouple, you can be assured of accurate temperature profile data as you monitor the potential for a thermal runaway. The Gayesco Flex-R® multipoint thermocouple is the only system currently on the market that can verify thermocouple accuracy immediately after installation. Other multipoint measurement systems are not verified in the field with accurate instruments, which can lead to an inefficient start-up process. WIKA’s multipoint thermocouple in situ verification service allows for as many as 10 points to be verified in an hour. Thus, the verification process has a minimal impact on turnaround schedules, as a complete thermocouple calibration can be wrapped up in just a few hours. The Gayesco Flex-R® offers another key advantage: Hot junctions (thermocouple tips) can be repaired or replaced in the field. This flexibility means longer lifetimes for older multipoint installations. WIKA’s expert technical support staffare available to provide further details or answer any questions about the innovative Gayesco Flex-R® multipoint thermocouple or the new multipoint temperature verification service.